Watch full One Piece Season 15 Episode 53 English Dubbed full HD online. One Piece Episode 569 English Dubbed online for free in HD. 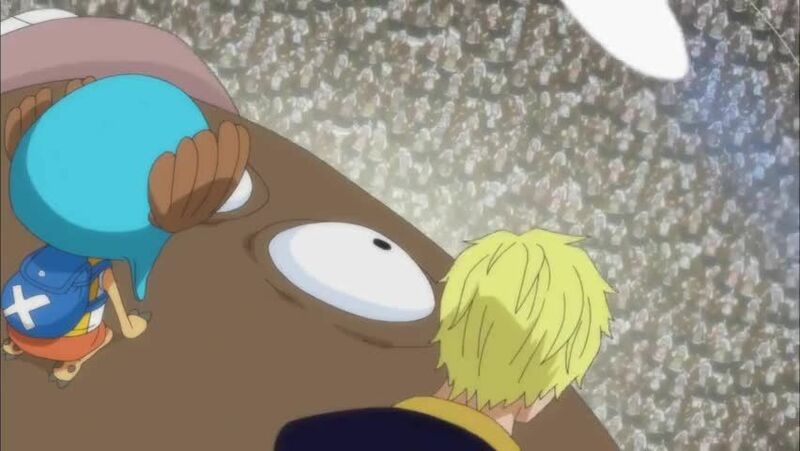 As the whole island celebrates the capture and defeat of Hordy and his comrades by the Straw Hat Crew of whom make their own plans to leave Fishman Island soon while Jimbei reluctantly tells Luffy that he cannot join his crew at the moment but he will in the future when he is finished with his tasks and obligations, They are all soon called to celebrate their victory at the Palace with merriment, music, drink and food. As the party begins to wind down Robin asks and discusses a troubling and possibly dangerous secret with King Neptune surrounding his daughter, Shirahoshi, the ship Noah and the mysterious Joy Boy.